Senior Officer Greg Holding has been with the Garner Police Department for the majority of his sixteen year career. Greg is part of the five man traffic team and is also a K9 Officer. 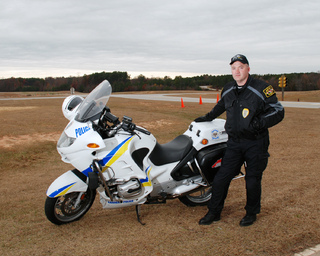 Greg is one of Garner's first Motor Patrol Officers and attended the NCSHP Motor Patrol Training School. Greg has been riding various motorcycles on and off road for a large part of his life.